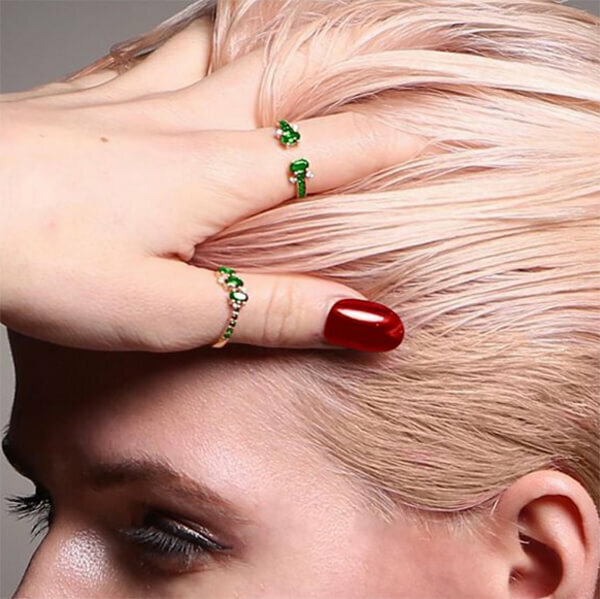 Looking back on London Fashion week we have pulled together our top 6 jewellery designers, each bring something slightly different, from different price points, different textures and materials. Some of these people are ready to wear fashion pieces, whereas others could even be described as a work or art. 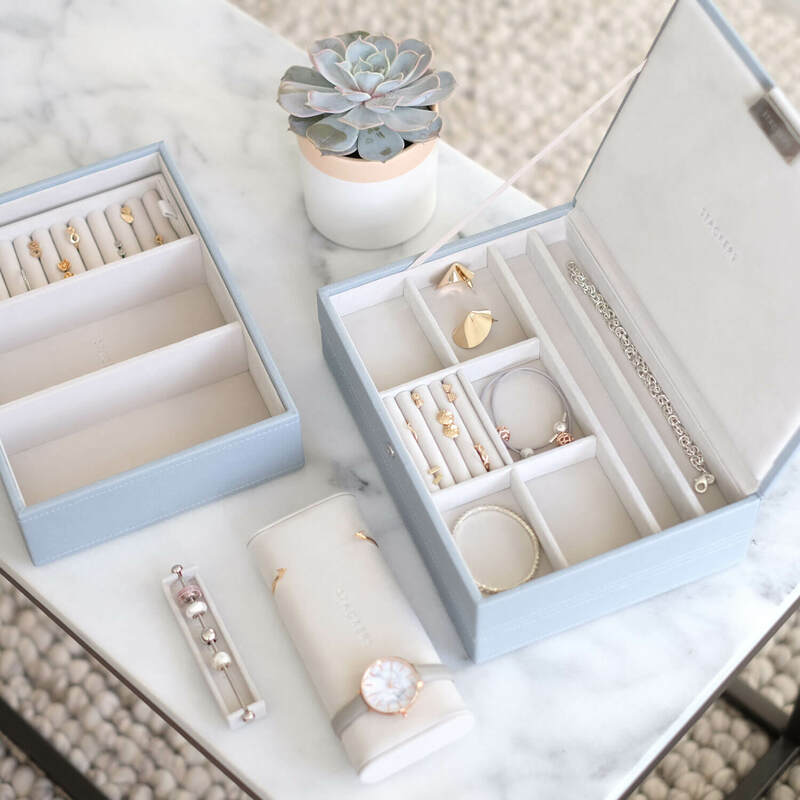 After graduating she spent two years interning at Harper’s Bazaar, luxury travel company Mr. & Mrs. Smith and working as a Visual Merchandiser at Avenue32.com; all the while, dreaming of her collection, and creating it by night. With no formal training and a vehement obsession with the idea of melancholy and imperfection, Alighieri was officially launched in 2014. Rosh wanted to create a brand that is firmly rooted in literature and travel, each piece is related to one of Dante’s 101 poems; that tells a story of whirlwind adventures, battered creatures, scraggy landscapes and passionate mistakes. 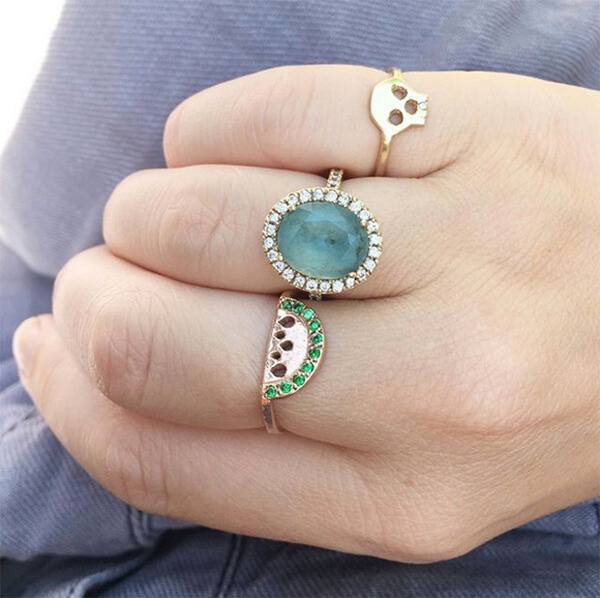 Rosh is creative director of Alighieri Jewellery, and is currently also writing for Luelle Magazine. Alighieri are part of Boden Future British. Ana Thompson is a Colombian born jewellery designer based in London. Her unique collections intersect the fields of design and science, with an aesthetic style influenced by her explorations into the hidden beauty and wonders revealed at the magnified microscopic and macroscopic scales. During her MA in Jewellery Design at The Cass, she developed innovative ways to combine her industrial design background, working with cutting-edge digital manufacturing technologies; with her cultivated passion for traditional goldsmiths' techniques from her native Colombian heritage. 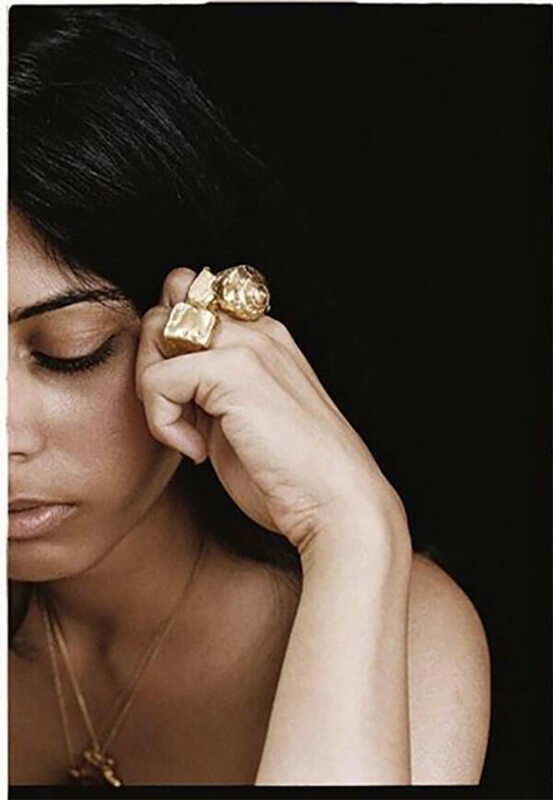 Her appreciation for jewellery to carry culture and meaning through the ages helped to clarify her design vision and became a catalyst for establishing her own jewellery brand ‘Ana Thompson Fine Jewellery'. Her designs are timeless, elegant and sophisticated, defined by the exploration of organic and geometric forms found at the most extreme scales and relate to the body with versatility and sculptural sensibility. Her latest collections received two awards this year from the Goldsmiths' Craft & Design Council Awards 2017. Ana Thompson Fine Jewellery is based at the heart of Hatton Garden at The Goldsmiths' Centre in London, offering unique fine jewellery collections and bespoke pieces. 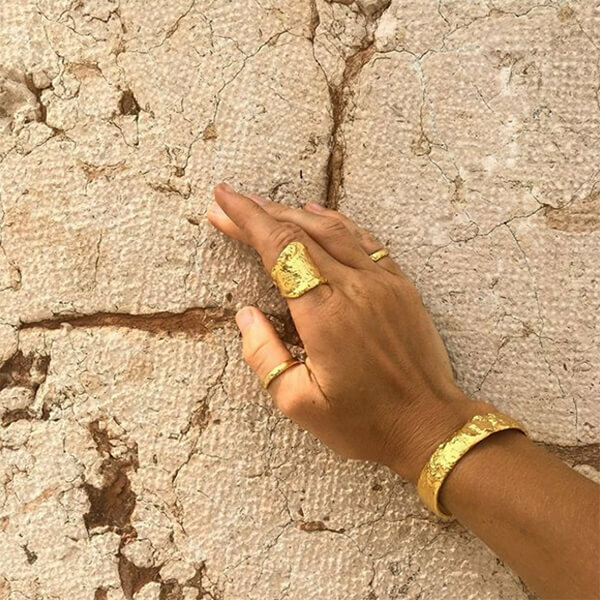 GFG Jewellery by Nilufer is a London based British Jewellery Company established by Nilufer Kizilkaya in 2014 with the vision to encapsulate timeless beauty. The aesthetics and the inspiration of our designs are created with love and passion as we are inspired by all the beauty that surrounds us. 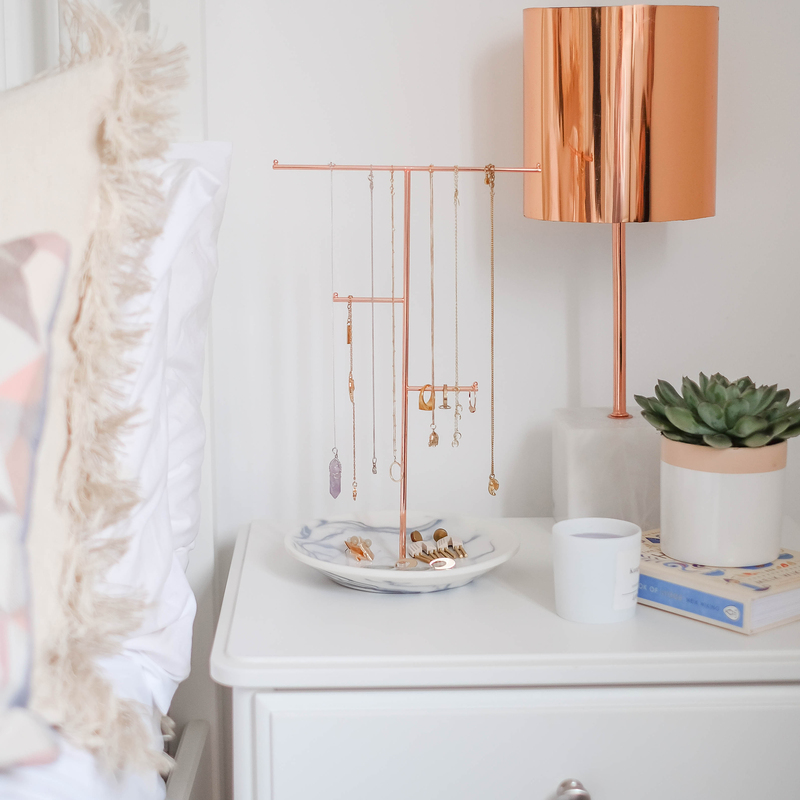 Our jewellery is created from precious metals, handset and polished whilst we use gemstones that are sourced from all around the world and then cut to our own specifications. GFG Jewellery by Nilufer is created with the dream that every item of jewellery is a "a Gift from the Gods". When you wear our jewellery our aim is to make you smile and sparkle & shine! The collections are easily wearable from day to night; with a vision is to be a part of your daily ritual and to be your last touch of your outfit. We believe in living and feeling in a world of elegance, chic and above all happiness. When you wear our jewellery our aim is to make you smile and create your world as being in heaven. Nilufer designs with the vision that jewellery should be perceived as effortless elegance and enjoyed every second of life as that there is not a dull moment to spend. HSU is an original brand created by Dorry Hsu in 2015. Dorry Hsu graduated from the Royal College of Art, London in 2014. Dorry's creations are inspired by her artistic background in sculpture and 3D printing. 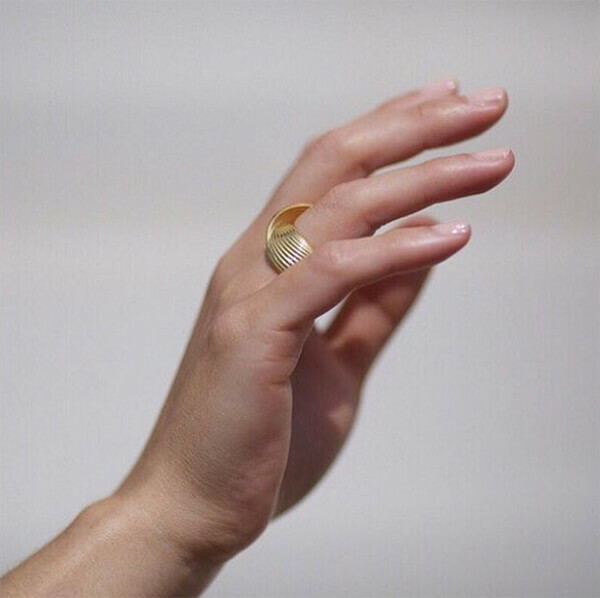 Based in London, she creates hand crafted innovative jewellery out of noble materials (silver, gold) to explore the relationship between the body and the sculpture. She understands jewellery as much as a visually poetic and a physical experience. "When I was in my childhood, the happiest thing is making gift and wrapping them" - Dorry Hsu. The Central St Martin's graduate launched her eponymous ethical gold and silver jewellery collection six years ago and has since designed exclusive ranges for Net-a-Porter, Harvey Nichols and Colette. 2017 has seen the extension of Daisy's brand into fair trade, bespoke wedding and engagement rings, environmentally and socially responsible organic cotton and bamboo apparel. The apparel collection includes understated shirts, t-shirts and hoodies, and later this year, a range of accessories created in an innovative, animal-friendly leather alternative, Piñatex; a new material extracted from pineapple leaves. For autumn/winter 2017, Daisy's jewellery collections will see the return of her recognisable handmade motifs and the launch of a hand-stamped personalisation service. This season will also see the launch of DaisyKnights x SewYeah – the brand new collaboration with fashion creative director and crafter Christine Leech. Featuring a range of jewellery, caps and leg warmers, the collection will follow Daisy's modern but playful style with minimal, muted tones. Two collections of unisex pieces, designed simultaneously and in parallel. The collections convey the disparate environments in which the designers dwelled when they met - Christopher by the ocean in the Bahamas and Antonia in an architectural cityscape in the heart of London. Through their contrasting influences, Antonia and Christopher sought to explore the diversity of our social and physical world with a shared commitment to environmental sustainability. The result is a yin and yang concept of contrasting inspirations - from organic and undeveloped horizons to metropolitan and industrialised cityscapes. Combining expert craftsmanship with core principles of honesty and integrity, Pascale x James is created for the modern individual. Born in Lahore, Pakistan, Zohra Rahman discovered the intricacies of jewellery design at London’s Central St. Martin’s before returning to her hometown for the launch of her eponymous label in 2014. Playful and thought-inspiring, Zohra’s designs reflect her belief in the transcendent potential of the ordinary and everyday. Meticulously handcrafted at the brand’s Lahore studio and distinguished by a keen attention to detail, her collections blend a clean, purist design aesthetic with traditional craftsmanship and artisan making techniques. Widely credited as a pioneer of contemporary luxury jewellery in Pakistan, Zohra has been recognised by numerous prestigious publications, including Vogue, Elle, and Interview magazines. Zohra has lent her creativity to varied designers and fashion houses, having collaborated with Daniel Hurlin, HSY, and Studio S.
Let us know in the comments which designers you loved this LFW.